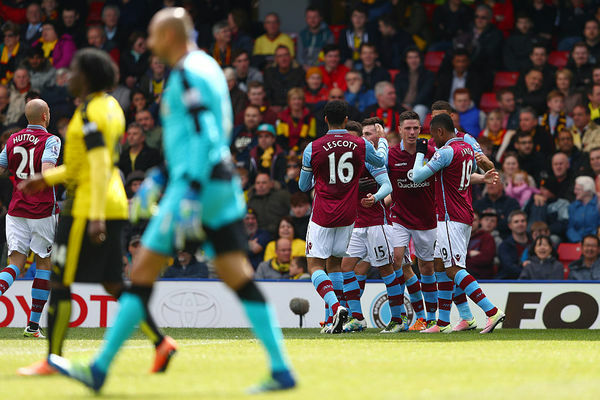 28 mins: Finally some joy for relegated Aston Villa as Ciaran Clark gets his reward for showing the most initiative to poke it past Heurelho Gomes and give the guests a surprise lead. Bottom of the Premier League and destined for a difficult summer, the supporters have something to cheer at last. As far as Watford - and manager Quique Sanchez Flores - are concerned, however, defeat today would do nothing to abolish the grey clouds overhead at present.